In the not-so-distant past, death and life co-existed in the home. Home was where people were born, and home was where people died. Upon death, the family prepped the body for burial, carefully washing it and clothing it. The body was then laid out in the parlor, and friends and neighbors paid their respects. My mom vividly recalls seeing her first dead body: the in-home viewing of her uncle in the late 1940s in rural Minnesota. In my book, I write about the Zimmerman family of Waseca, Minnesota, a mother and six children killed in a train-car accident in 1959. The family was waked at home for practical reasons: the funeral home simply did not have room for seven caskets. At that time, the practice of in-home wakes had all but disappeared. The death industry had taken firm hold and convinced Americans to let professionals handle the death and post-death process. 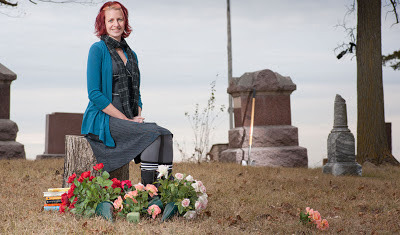 You died in a hospital or nursing home, were taken to a funeral home, embalmed, clothed, placed in a fancy casket, and put in a room that was conveniently labeled a funeral “parlor.” The language changed: “Casket,” not “coffin.” “Funeral director,” not “mortician.” “Interment,” not “burial.” Death became big business. Jessica Mitford critiqued this shift in her seminal 1963 book, The American Way of Death. But death is so entwined with life that it will always rise up, take us by the shoulders, and force us to look. 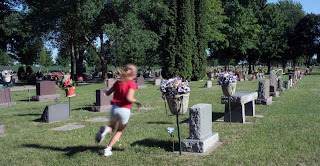 A television show like Six Feet Under dared to bring death back into the home. Debuting in the first year of the 21st century, Six Feet Under forced us to examine ideas about death that were common at the turn of the 20th century. The HBO series, which aired from 2001–2005, took place in a family-run funeral home in Los Angeles. In the series premiere, the family patriarch, a funeral director, is killed in a car accident. Through the entirety of the series, viewers watch the Fisher family—mother, two sons, and daughter—stumble through life, trying to figure out their individual identities and negotiate new family dynamics in the midst of grief. The tension of the series revolves around society’s need to formalize death and the rejection of that formality. The tension is personified in buttoned-up David, the middle child and funeral director, and free-wheeling Nate, the prodigal son who returns home after the father dies. In the pilot episode, the family takes turns gently sprinkling dirt over the casket at the graveside service for Mr. Fisher. They use a large shaker to dispense the dirt as a way to keep their hands clean. But when it’s Nate’s turn, he rebels against the ritual. Instead, he grabs grave dirt from underneath the plastic tarp that’s supposed to look like grass in an effort to “hide” it. Nate gives voice to the silence that often surrounds the death ritual. In We’ll Be the Last Ones to Let You Down, I try to capture the Midwestern stoicism I have witnessed at funerals and wakes. I saw little raw emotion. So few Nates, so many, many Davids. 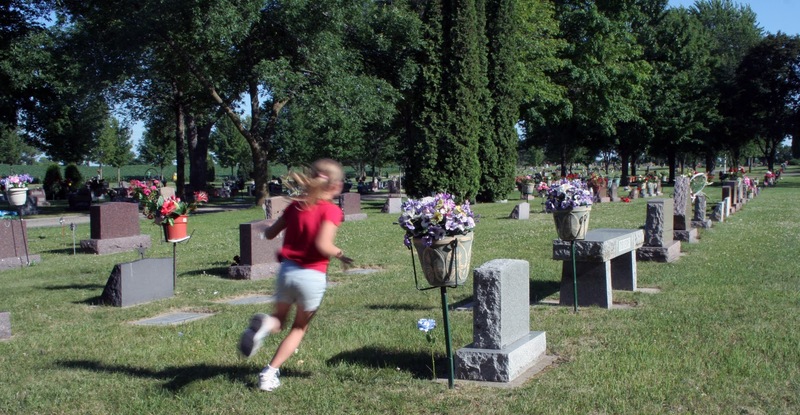 Since Six Feet Under, other networks have trotted out shows about the death industry. During the run of Six Feet Under, the A&E network aired “Family Plots,” a reality show about a funeral-home family in Poway, California. Lately, TLC has been showing episodes of Best Funeral Ever, which documents the funeral-preparation process at a Dallas funeral home. If the days of in-home preparation and wakes are never to return, then at least TV can encourage living-room conversations about death. We have managed to remove death from our everyday lives, to corral it into neat ceremony and ritual. But like wild animals penned up in cramped quarters, it will always look for a way to escape, to go back home where it belongs. 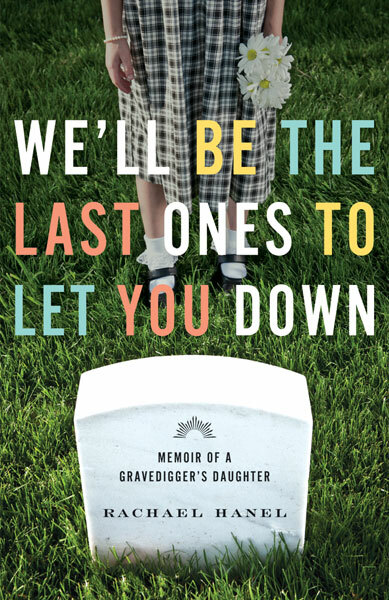 Rachael Hanel is author of We'll Be the Last Ones to Let You Down: Memoir of a Gravedigger's Daughter. She has written more than twenty nonfiction books for children, and her essays have been published in the Bellingham Review and New Delta Review. She lives in Minnesota. "We’ll Be the Last Ones to Let You Down gently untucks dying, death, and mourning from the dark recesses of the drawer we Midwesterners, descendants of the stoic and neat, have kept it. Choice passages of Hanel’s story so affected me that my throat went sore swallowing grief."